Brunei, officially named “Nation of Brunei, the Abode of Peace” is located in Southeast Asia, on the north coast of the island of Borneo and is surrounded by Malaysia with the South China Sea on one side. The official language is Malay, but English is also recognised as a language and there are a number of other languages spoken too. The currency used in the sovereign state is the Brunei dollar. What can I send to Brunei? What items are restricted? If you’re looking to book a trip somewhere slightly different that’s more untouched by tourists than other holiday destinations, whether it’s as part of a Gap Year, a family travel experience or a business trip, Brunei might be the perfect place for you. With the soaring costs implemented by airlines for taking extra luggage on board, whether it’s an oversized item or simply a heavy suitcase, you might be finding your expenses are going slightly over budget. This is where Send My Bag can help you. If you’re an expert scuba diver and are planning to participate in some of the excellent diving in Brunei with your own equipment, or will be spending more than a couple of weeks in the country and need to take additional suitcases, you don’t want to suffer the excess baggage charges at the airport along with the hassle of having to transport it yourself on difficult transportation to your destination. Send My Bag can pick up your luggage from your home and ship it to Brunei for you. The first time using sendmybag services. All I can say I am very satisfied with their services. My luggages arrived on the same day I got back to my country and the process is very simple and at first I have asked so many question to customer service but they are so professional answering my question. I will definitely be using their services on my next trip to Europe. Thank you so much guys! I was impressed with the service. Upon entering the destination in the booking process, a pop up window showed up to notify that the route chosen is not recommended due to some foreseen delays. I liked this about sendmybag.com. It is being realistic and upfront and not over promising. And yet i still received my luggage 2 days prior to the estimated ETA! Well done! The process was easy to follow, theres a video on how to pack the bags and the collection was done a day after i booked a slot. I was updated very frequently on the whereabouts of the luggages, and the tracking system is also up to date. The only thing that id say needs to be improved is the customer service chat. It can be a bit slow in responding. I will use this service in the future and highly recommend it. Customers are currently limited to a maximum declared value of $250 USD / £150 / 220€ / $340 AUD for shipments entering Brunei, in order to avoid delays with customs clearance and additional duty and taxes. All food stuffs including non-perishable items. 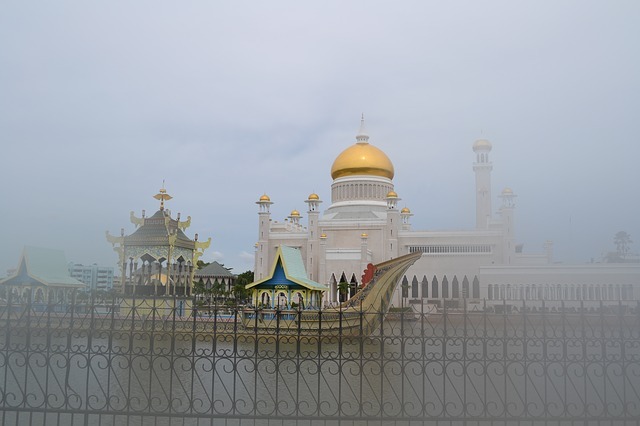 The climate in Brunei is generally hot and humid, with an average annual rainfall totalling around 2500mm on the coast, and reaching above 4000mm in the rainforest and jungle interior. Dry months are usually February and March, while the wettest are October to December. Brunei also has consistent temperatures year long, sitting between 30-32C during the daytime, and 22-23C at night. The country itself is very small in size with a small population too, but is relatively wealthy due to oil reserves. As a tourist, there are plenty of things to do; some of the most popular attractions are the mosques, including the Sultan Omar Ali Saifuddien Mosque, which has 28 domes that “glow” at night and the James ‘Asr Hassanil Bolkiah Mosque with 29 golden domes, staking the claim as the largest one in Brunei. Kampong Ayer, the “Water Village”, is of particular interest to tourists, as a prehistoric village built onto the Brunei River on stilts which allows a glimpse into the country’s cultural past. Being situated on the coast, there are several water activities to partake in, including the ever popular scuba diving around infamous ship wreck sites such as the Blue Water Wreck, Cement Wreck and Australian Wreck. The waters are very clear and warm, aside from during the monsoon season, and are perfect for beginners and expert scuba divers.